The available Intelligent All-Wheel Drive is so responsive, it can adapt to changing conditions 30 times faster than the blink of an eye. Snow, rain-covered pavement or tight turns, the system automatically sends power to the wheels that need it most. Rogue Sport’s design looks to the future with Nissan’s signature V-Motion grille and boomerang-inspired lights. The available 19” alloy wheels appear to be in motion, even at a standstill. 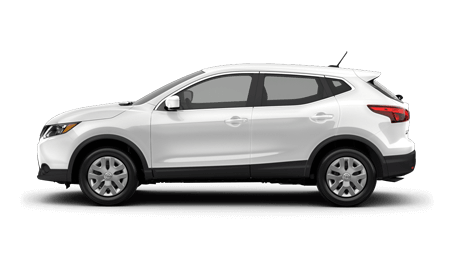 Test Drive this exciting new Nissan Rogue Sport at Metro Nissan Redlands or call (877) 284-2876 today! Unleash the power of your Siri®-equipped iPhone® with Siri® Eyes Free. Ask about the weather, make calls, send texts, update your calendar, and more – at the touch of a button. The available Intelligent Around View Monitor helps you squeeze into that spot with your pride and wheels intact. It also gives you an on-screen heads-up when it detects moving objects near your vehicle. We’re looking at you, shopping cart. Fit your daily essentials and big finds. The back seats fold down flat to accommodate larger gear, and cargo-floor panels adjust easily to provide multiple configurations, like a place to hide valuables. Rogue Sport's intuitively laid-out interior is designed to keep up with your life. And thoughtful details, like stitching on the seats and doors, give it a handcrafted feel.